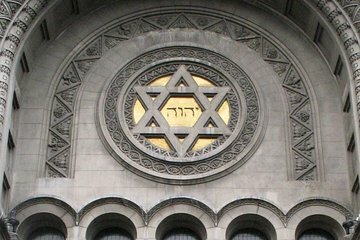 Get a comprehensive picture of Buenos Aires' rich Jewish history during this 3-hour private tour. With a dedicated guide, you and your party will have a flexible itinerary, personalized attention, and plenty of chances to ask questions. Round-trip transportation from Buenos Aires hotels or the cruise port is included. Begin your private tour of Buenos Aires with convenient pickup at your hotel or the cruise port at 9:30am. With your private party, climb into a comfortable tour vehicle and meet your guide, then set off to explore the Jewish history of Argentina's capital. Visit landmarks that speak to the Jewish heritage in Buenos Aires, such as Lavalle Square, the Jewish Museum of Buenos Aires, and Israel Embassy Square. Explore the neighborhood of Balvanera, home to a thriving Jewish community that practices traditional values and ways of life. Return to the cruise port or your hotel for drop-off at the conclusion of your 3-hour tour.